Subhash Dutta (9 February 1930 – 16 November 2012) was a Bangladeshi filmmaker. He started his career as a commercial artist. In first par of his career Dutta worked as an movie poster artist. He drew posters for first Bengali language movie - "Mukh-o-Mukhush". He directed his first movie, Sutarang, in 1964. The movie won second prize at the Frankfurt Festival in 1965. Dutta acted in numerous movies. In 1972 He acted with the theatrical group, Aronnok. Dutta won Ekushey Padak in 1999. His movie Abirbhab won a prestigious[clarification needed] award in Frankfurt Film Festival. His directed movies were awarded in Phnom Penh Film Festival (1968), Moscow Film Festival (1967, 1973, 1979). He also got award for his acting by Pakistan Film Festival (1965). He also won Nigar Award for his comic role in 1962 film Chanda. 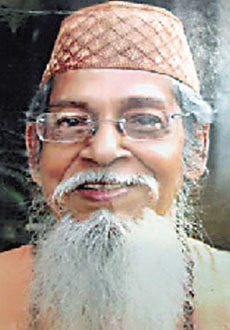 Dutta died on 16 November 2012 at his home in Ram Krishna Mission Road, Dhaka. He suffered from heart disease.